Churchill Downs Racetrack (CDRT) today announced a partnership with Ticketmaster to make purchasing Kentucky Derby and Kentucky Oaks tickets online easy and reliable for fans across the country. The introduction of a new ticketing solutions provider coincides with the launch of the newly redesigned Kentucky Derby website www.KentuckyDerby.com, the online destination and resource for all things Kentucky Derby including tickets. The new ticketing solution and website are live. Fans can also purchase tickets for Churchill Downs’ September and Fall Meets through Ticketmaster at www.ChurchillDowns.com. The Kentucky Derby selected Ticketmaster because it is the leading and most reliable ticketing company and is able to meet the complexity and high demand for Kentucky Derby tickets. Fans will be able to securely purchase and manage their tickets online and on mobile devices, purchase General Admission tickets at any Ticketmaster location nationwide and be assured that the legitimacy of their tickets is guaranteed. The partnership also provides online and telephone customer service seven days a week, so fans will be able to get help with their ticket purchases whenever they need it. The new design of www.KentuckyDerby.com is an important part of making the purchase of Kentucky Derby and Oaks tickets easy and transparent for fans. 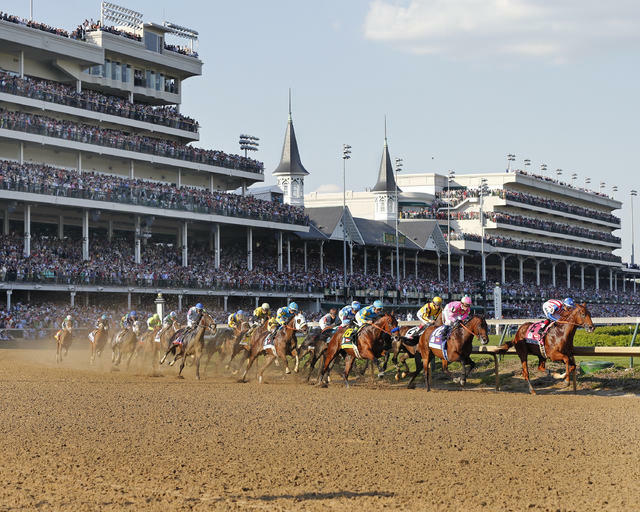 The site offers descriptions, photos and maps of the Kentucky Derby’s many ticket options and explains the different ways to purchase tickets in order to assist fans in researching their options before making a purchase. The newly redesigned Kentucky Derby website also provides comprehensive information and stunning imagery to tell the story of the Kentucky Derby and Oaks. Visitors to the site can learn about past and present contenders, trainers, owners and jockeys; the rich history and tradition of the Derby, the Oaks and Churchill Downs; how to wager; tips and recipes for throwing your own Kentucky Derby viewing party at home; and purchase Kentucky Derby merchandise online.